Posted February 1st, 2016 by Thermelec & filed under Keeping cool. 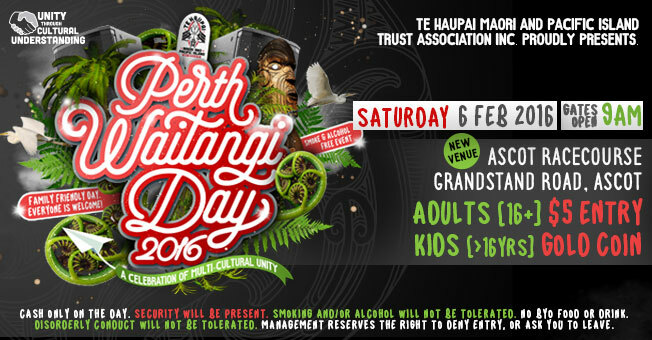 Thermelec are proud to support the 2016 Te Haupai Maori and Pacific Islanders Waitangi Day on the 6th February at Ascot Racecourse. Enjoy the multi-cultural food, car & bike show, something for everyone. Only $5 entry for adults and a gold coin donation is appreciated for children under 16 years of age. Browse the merchandise stalls & kids alley. There will be music and entertainment all day for your enjoyment. With the temperature set to be around 33 degrees it’s a perfect day to take the family and enjoy this alcohol free event at Ascot Racecourse. Have a look at our Thermelec advertisement on the back cover of the programme showing the services we offer. Have a great day everyone, stay cool, and don’t forget Thermelec have spare parts for all evaporative air conditioners.